It’s time for a brand-new year! The Homeschool Review team for 2019 has been assembled and is eagerly waiting to share all the goodies that are finding their way into their mailboxes and inboxes. The very first review of the year is up and it’s a goodie! We don’t mind sharing all the bells and whistles that an Ultimate Annual Yearly Membership to our sister company SchoolhouseTeachers.com has to offer. But first, here are some important details. SchoolhouseTeachers.com is an online Christian homeschooling resource. It offers homeschool curriculum from preschool through high school, in addition to plenty of resources for parents. Resources for parents include eBooks, extensive planners, courses, encouragement and more. 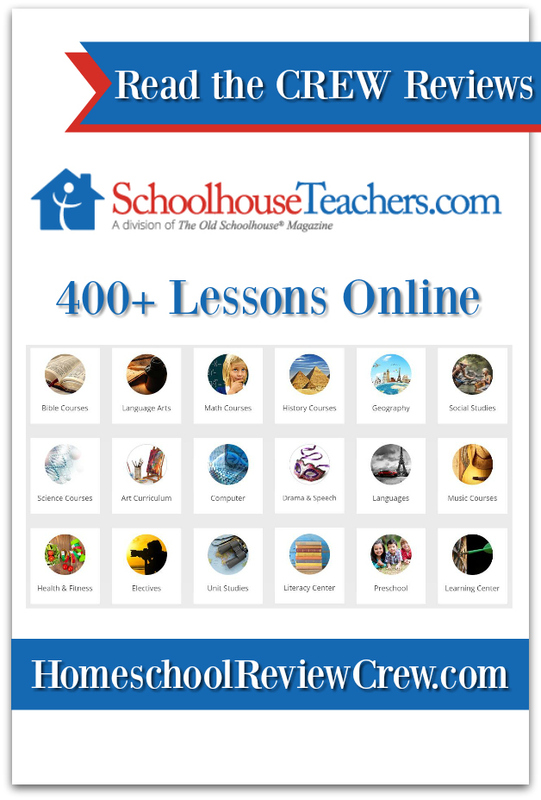 Did you know that there are over 400 online homeschool student courses available with a SchoolhouseTeachers subscription? These courses are high-quality, self-paced and appeal to a wide variety of learners and students. There are also more courses being developed to meet the needs of our growing community. 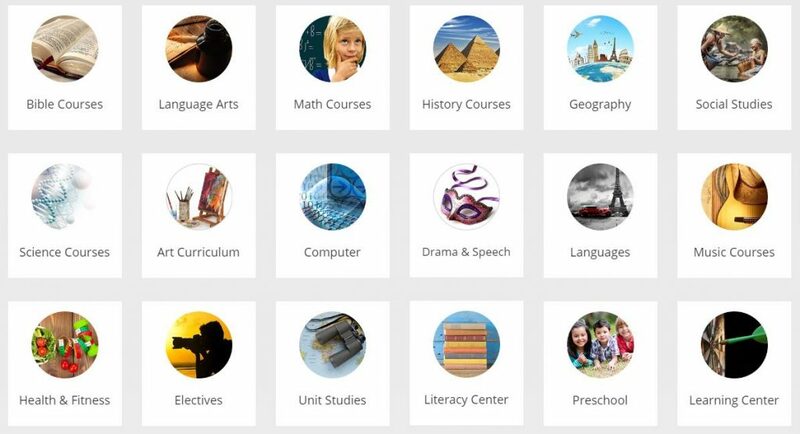 Along with the courses, SchoolhouseTeachers.com features more than 450 video titles. A subscription to SchoolhouseTeachers.com grants you access to RightNow Media and more. Your student can take a road trip with the Drive Thru History series, learn about a hero of the Faith with a Torchlighter movie or even learn how to play beginner drums! There is a little something for everyone. Yet another perk to a SchoolhouseTeachers.com subscription is World Book Online. Subscribers have access to a number of World Book libraries featuring maps, timelines, research materials, articles, and videos. Our reviewers have explored SchoolhouseTeachers.com inside and out and are ready to share how the incorporated into their homeschools and into their lives. As a follower of the Homewschool Review Crew we have a discount coupon code for you! 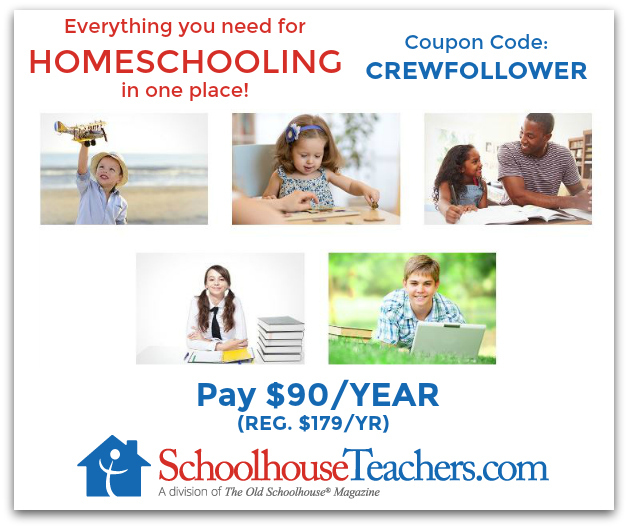 To reduce your annual membership to $90/year use coupon code: CREWFOLLOWER at the SchoolhouseTeachers.com checkout. A big thank you to Rebekah Teague of There Will Be a $5 Charge For Whining for writing this introductory post.